Right, we’re off drinking and eating, and will be too busy eating and drinking to update this blog much between now and New Year – though we might put up the odd post if it takes our fancy. Thanks to our lovely readers, friends, supporters, Cake Sale helpers and anyone who has advertised on the site this year. 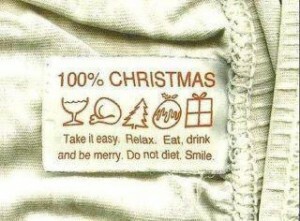 Whatever your budget, we hope you have a very fantastic Christmas and an incredibly merry 2012. Happy Christmas Jean and Peter! Happy Christmas, thanks for all your posts during the year. Keep up the great work. Right, i’m off to curry the leftover turkey.